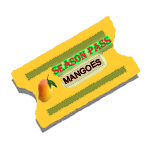 Enjoy a box of the most expensive mango in India – imported from the famous orchards in the Goa-Konkan region of India. 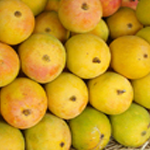 Mancurad mango is the most famous mango from Goa- it is sometimes also known to be the most expensive mango in India. Mancurad mango is grown in the Konkan belt of India and is more well behaved than its better known whimsical cousin ? the Alphonso.